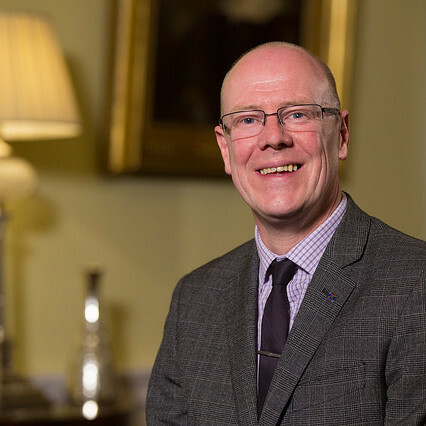 As the Scottish Government launches a consultation on homelessness legislation, housing minister Kevin Stewart MSP issues a call for views from people with experience of homelessness, those working in local authorities and the wider homelessness and housing sector. Everyone should have a secure warm place to call home – it’s one of the most important factors in any person’s quality of life. Our Ending Homelessness Together Action Plan sets the direction for real and lasting change. As part of this, we have just launched a consultation on the current local connection and intentionality provisions in the Homelessness etc. (Scotland) Act 2003. We want to hear your views on these issues in order to break down any barriers that stop people from accessing the accommodation and support they need, when and where they need it. What is local connection and intentionality? The current local connection rules mean that local authorities can refer homeless households who have not been living, working or have family in the area to a local authority where they do have these links. The Homelessness and Rough Sleeping Action Group (HARSAG) considered evidence of the ways in which this can isolate people from the support they need at a time of crisis, and can lead to people feeling powerless and let down by the system. We are consulting about whether to change these regulations to ensure that people experiencing homelessness have greater choice and control over where they wish to live, and to minimise barriers to people getting support. Intentionality legislation requires local authorities to investigate whether someone has become homeless deliberately. We recognise that under current rules, many of those assessed as intentionally homeless have difficulties in their lives which are out of their control, for example paying their rent or experiencing mental health issues. We hope that allowing local authorities greater choice about whether to investigate this in future will ensure people get the support they need when they need it. We want people with experience of homelessness, those working in local authorities and the wider homelessness and housing sector to be at the heart of this change. By working together, we can reduce barriers to accommodation and support and end homelessness for good. I strongly encourage you to respond to this consultation and tell us your views on local connection and intentionality provisions. Find and take part in the consultation here. If you would like a member of the Homelessness Measurement and Legislation Team to speak with you about the proposed changes please email: Homelessness_External_Mail@gov.scot. This article was originally published on the Scottish Government website.